The EJE Series 1 pallet trucks are a particularly economic means of loading and offloading HGVs as well as transporting pallets over short distances. The main advantage: Due to its short front end dimension (L2) of just 494 mm (short version), the EJE can be manoeuvred in very restricted spaces. 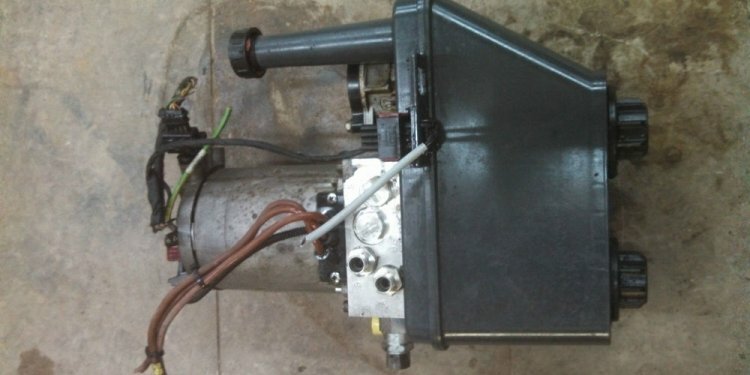 The innovative 3-phase AC drive motor is another advantage. Its optimised efficiency ensures high speed and powerful acceleration – ideal for fast, efficient product throughput. In addition to its speed, it also offers long operating times: Batteries up to 375 Ah in combination with excellent energy management ensure long operating times. For operations lasting more than 1 shift, the battery can be removed laterally for quick battery replacement (optional for EJE 118/120). The low-mounted long tiller ensures safe operation. They maintain the adequate distance between the operator and the truck. Especially when cornering, the EJE 116 - 120 never gets too close to the operator. If space is at a premium, the crawl speed button makes travelling safe with the tiller in the upright position. A touch of the button is sufficient: The brake is released and activation of the travel switch automatically reduces the speed of travel significantly. Particularly in confined spaces, the low battery height has its advantages. It provides even the shortest of operators with optimum visibility of the fork tips. The redesigned multi-functional tiller arm is full of innovations: Sealed sensor system (IP 65) for maximum breakdown protection, rocker switches with contactless electronics for precise operation in any tiller position, ergonomically arranged switches. Quick change in direction of travel without 'having to think'. Combined battery discharge indicator (3-colour LCD) with lift cut-off and charge status indicator (for on-board charger). CanDis information display (optional) with additional hourmeter and error code logging. PIN activation of truck and choice of three travel programs via CanCode (optional). Clear colour coded system and keys with sunken/ raised sections allowing intuitive operation. Handle position adjusted to suit natural operation. Crawl speed button on the underside of the tiller head for quick access and easy operation with the tiller in the vertical position. The tiller head also has excellent protection against breakdown with a contactless sensor system which has IP 65 protection against water ingress. Rocker switch for smooth operation in any tiller position.